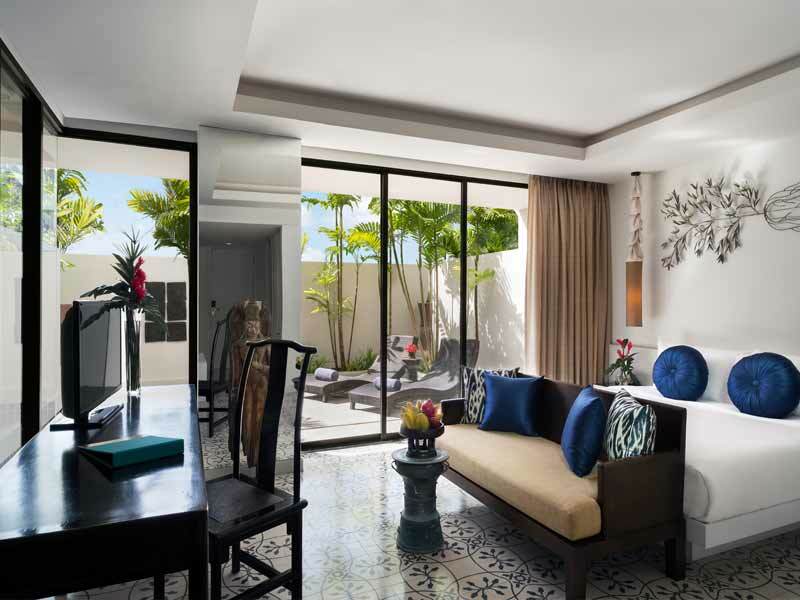 Boutique, intimate and truly relaxing—Manathai Surin Phuket will have you feeling like a VIP from the moment you check-in! 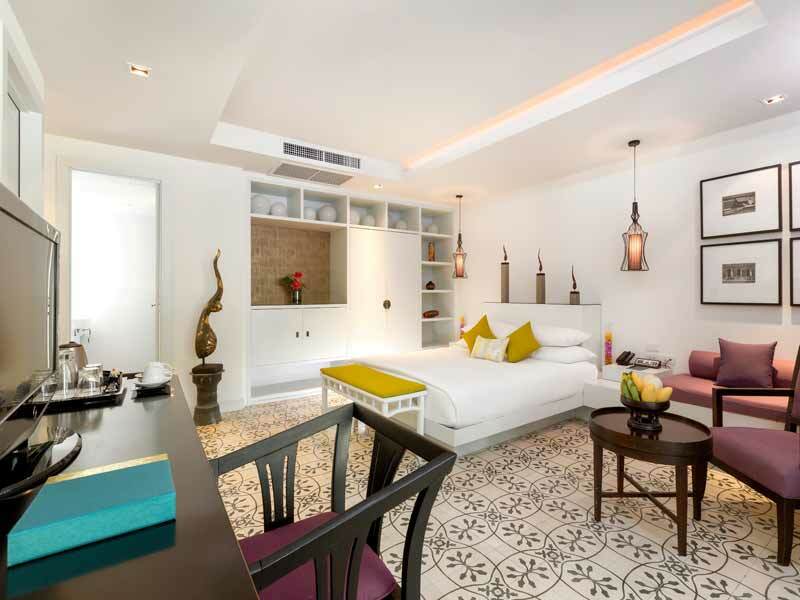 Manathai Surin Phuket has just 66 rooms and can be found an easy 30-minutes from Phuket’s International Airport. Take a few steps to reach the beach, make the most of the luxurious facilities and easily access all the exciting attractions and activities that Phuket has to offer. You couldn’t ask for a better location than this! 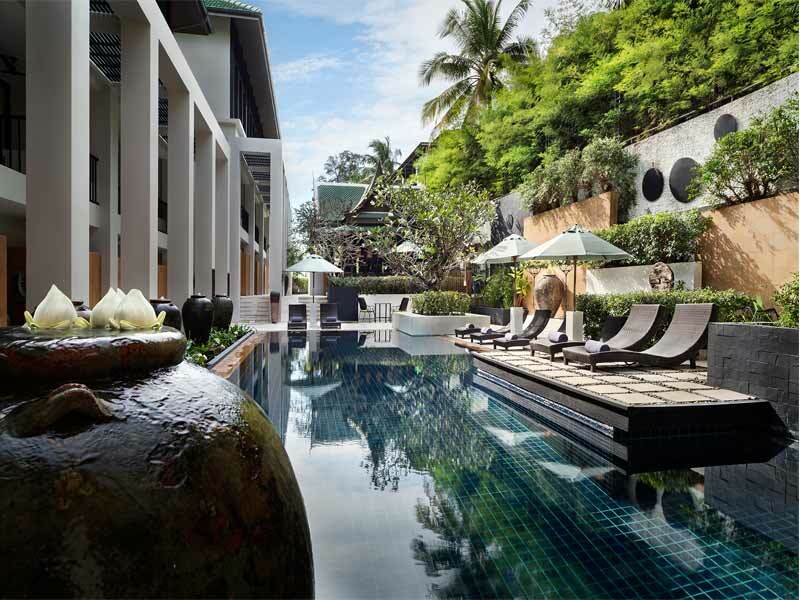 Manathai Surin Phuket has gained the reputation of being a tropical oasis, just steps from Surin Beach and the warm tropical waters of the Andaman Sea. The resort offers the perfect combination of tranquil accommodation and a convenient location—the best of both worlds! Surin Beach is a quiet area known for its upmarket hotels and relaxed vibe but is only a 20-minute drive to more lively areas of the island, such as Patong. If you’re looking to explore the well-known Catch Beach Club on Bangtao Beach, this is only a 10-mintue drive! 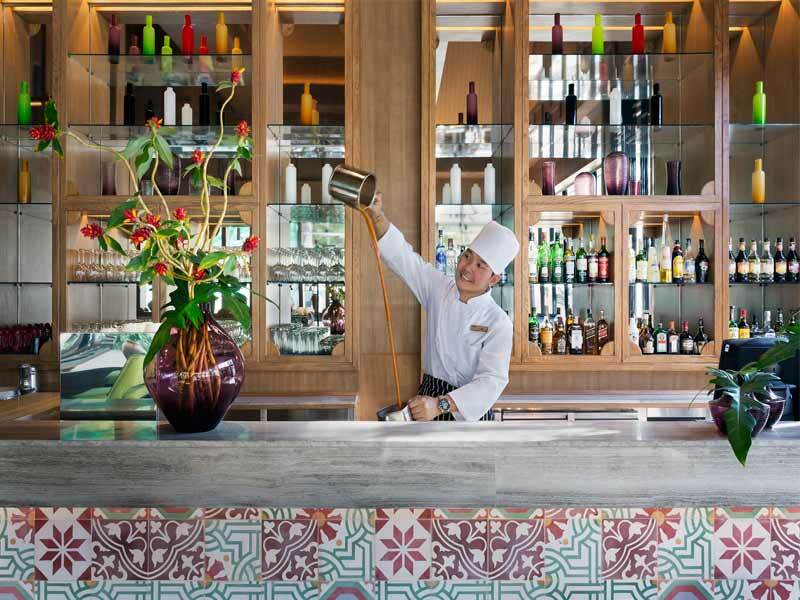 At the resort itself, you’ll find the most exceptional facilities placed around the stylish, modern-designed ground. These include a courtyard pool, massage facilities, a resort bar and restaurant. The Manathai’s Pad Thai restaurant is open from 11am-11pm and serves modern Thai dishes in the dining room or al fresco seating area. Room service is also available for you to enjoy on your private terrace or balcony. Whether you are travelling alone, with a group or as a couple, the 66 guestrooms can accommodate it all! From family rooms to spacious suites; rooms with pool access and rooms with their own plunge pool, you’ll be able to relax, whatever that means to you! Why Go to Manathai Surin? If you want to relax on a white sandy beach with other like-minded tourists from Thailand and all over the world, Manathai Surin Phuket is for you. Set one street back from the beautiful Surin Beach—known for its coastal village vibe, high-end resorts and celebrity spotting—offers just great value, stylish accommodation with access to everything you’ll need for the Thailand escape you have been dreaming of! If this sounds like the holiday for you, call our Thailand Holiday Experts now on 1300 008 424! 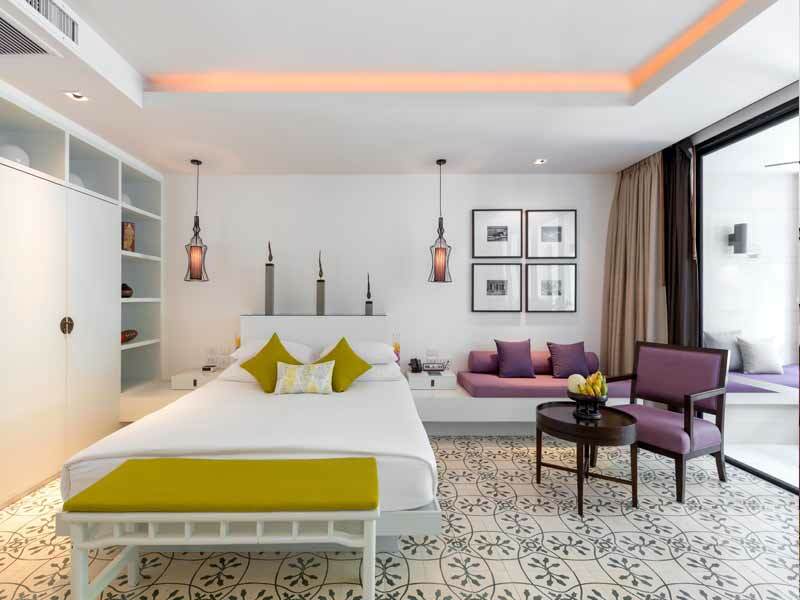 Boasting a shady, private furnished balcony and a modern interior with a spacious bathroom, Surin Rooms will keep you calm and comfortable throughout your stay in Phuket! 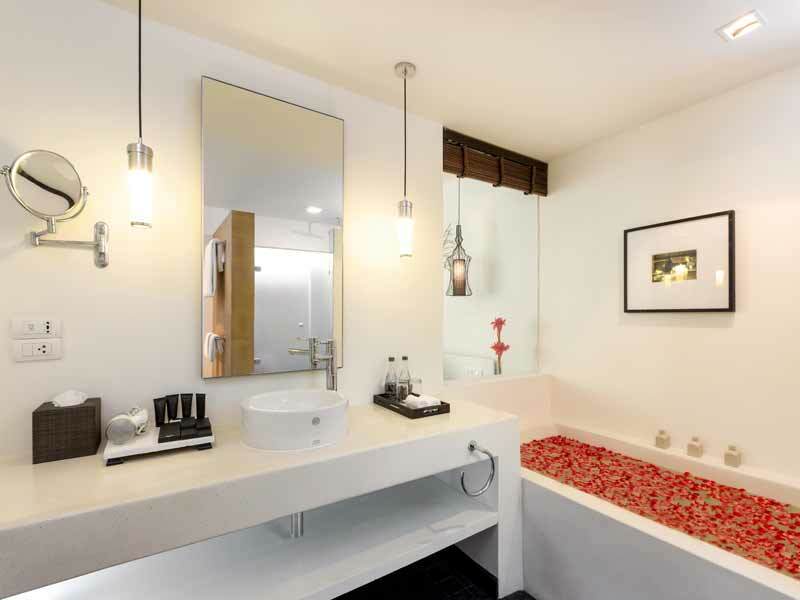 Features include air-conditioning, a flat screen TV, minibar, bathrobes and slippers and more! The rooms measure 40sq. metres and can accommodate up to 2 adults. 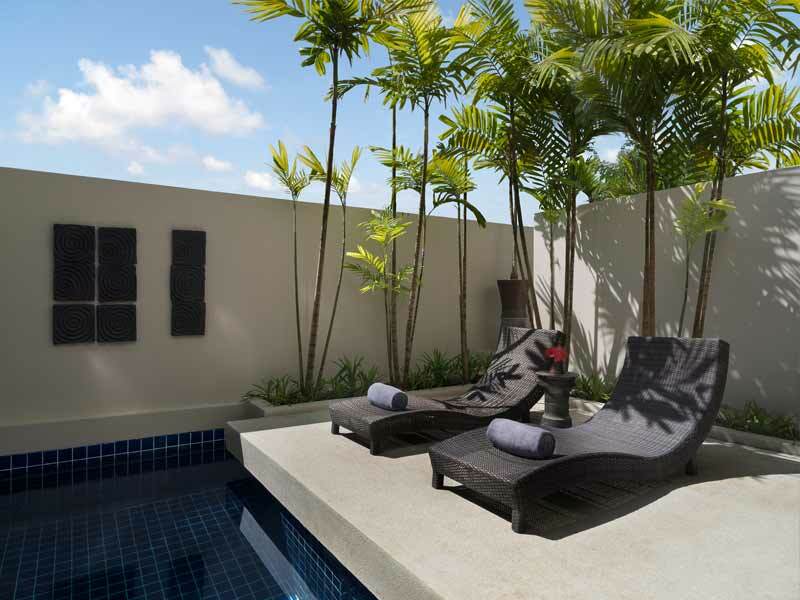 The main feature of the Surin Terrace Room is the private plunge pool! Located in your own private walled garden, equipped with comfortable sun loungers and sliding glass doors leading into the room, you will be able to soak up the sun and dip to your heart’s content here! Inside you will find a modern space with a King, flat screen TV, minibar, desk and chair and a separate seating area with a complimentary fruit basket. The room is air-conditioned and boasts a luxury bathroom with a separate bath and shower as well as a hairdryer, bathrobes and slippers. Surin Terrace Room measure 40sq. metres and can accommodate 2 adults. Just 15-kilometres from Phuket International Airport, Manathai Surin Phuket is ideally located on the west coast of the island. Set just back from Surin Beach, the resort is perfect for those seeking lazy beach days, though it also offers free parking so you can hire a car and explore the island with ease. From the Manathai Surin Phuket, you have two popular tourist spots within easy reach—Kamala in the South and Bangtao in the North. Kamala is a quiet beach resort hub, with a fruit market every Friday and the Wat Baan Kamala temple. Here you can also catch the iconic nightly performance—Phuket FantaSea. The 2-hour show has been running since 1998 and is one of the most popular things to do in Phuket. Bangtao is Phuket’s second longest beach. It stretches 6 kilometres along the west coast. Similarly to Surin Beach, it is known for its high-end resorts and luxury private houses. Bangtao has trendy beach clubs, a wakeboard park and a golf course. Whether you want to take a day trip to the smaller islands off Phuket’s coast, go on a scuba diving adventure, play a round of golf at an international championship course or learn to whip up Thai delicacies at a cooking school, all the activities you can dream of are within reach from the Manathai Surin Phuket. Adrenaline junkies will be first in line to experience Phuket’s bungee jumping, sea cave kayaking, zorbing and zip-lining; while the more culturally curious among you will enjoy walking tours of Phuket’s Old Town or a visit to the local temples. Nearby you can visit Wat Cherng Talay, a mixed Buddhist and Hindu temple, or, further afield, The Big Buddha (1 hour south) and the Jui Tui Shrine, a Chinese temple in Phuket Town. Shopaholics and boutique addicts will not be disappointed here. 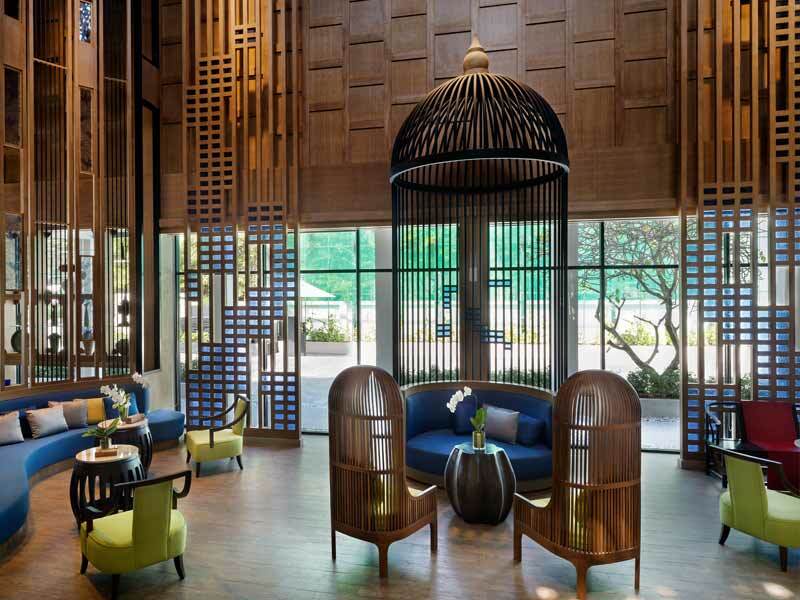 Just 400 metres from the Manathai Surin Phuket, you will find the Surin Plaza—a three-storey shopping mall with fashion, jewellery, antiques and art. Surin Beach itself offers snorkelling and surfing. Snorkelling is best enjoyed in the dry season (from November to February) when the sea is calmer, while the waves can be more consistent during the wet season (from May to October). Other nearby snorkelling spots worth a visit are Merlin Beach (30-minute drive south), Banana Beach (25-minutes north) and the secluded Laem Singh Beach just 1 kilometre south of Manathai Surin Phuket. The west coast of Phuket is best for catching waves and popular surf sports include Kata Beach (40-minutes south), Kamala Beach (10-minutes South), and Kalim Beach (15-minutes south). Wonderful staff, Sueb at reception was the best! Nothing was too much trouble for him. The food was excellent and there was a clean beach over the road. Will be back! As holidays go, this was one of the best l have had in Thailand.